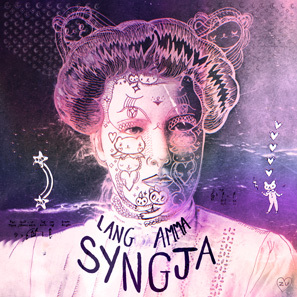 Saxsyndrum starting 2015 right with a cover of Lykke Li‘s Dance, Dance, Dance featuring guest vocals by Sea Oleena. 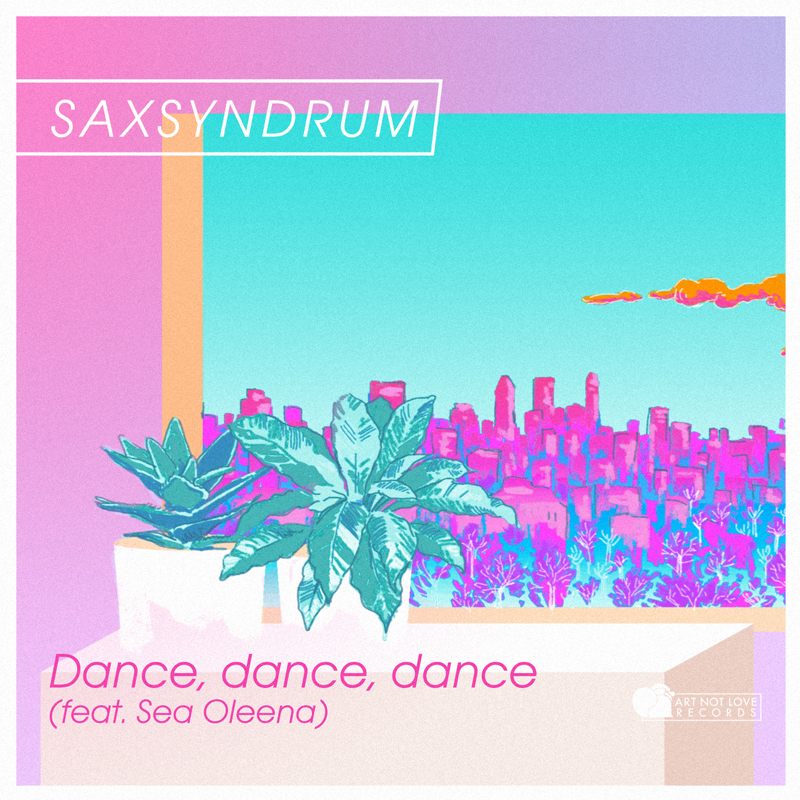 Oleena’s voice moves between airy, and cutting, blending perfectly with Saxsyndrum’s very delicate rendition of the track. Check it out via Consequence of Sound. 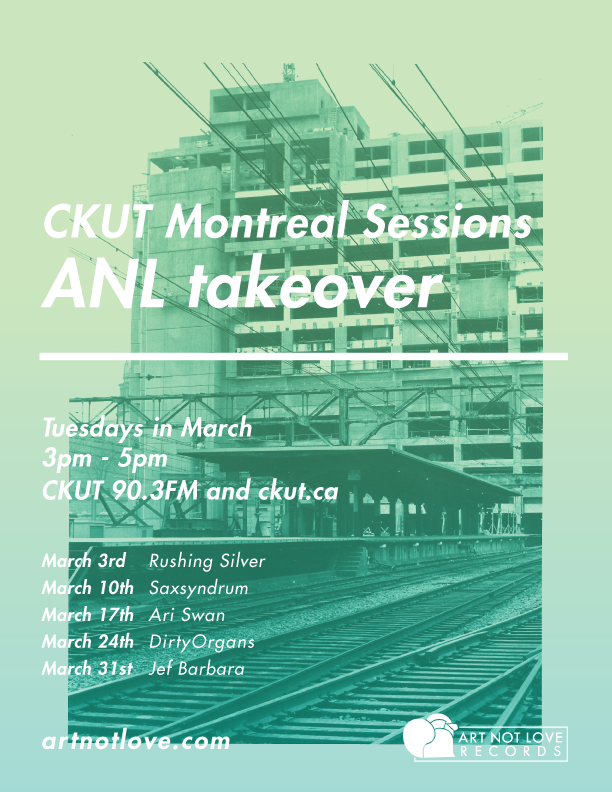 This is all of the music played during our second CKUT Montreal Sessions episode on March 10th, 2015. You can stream both parts of the episode on ckut.ca or below. 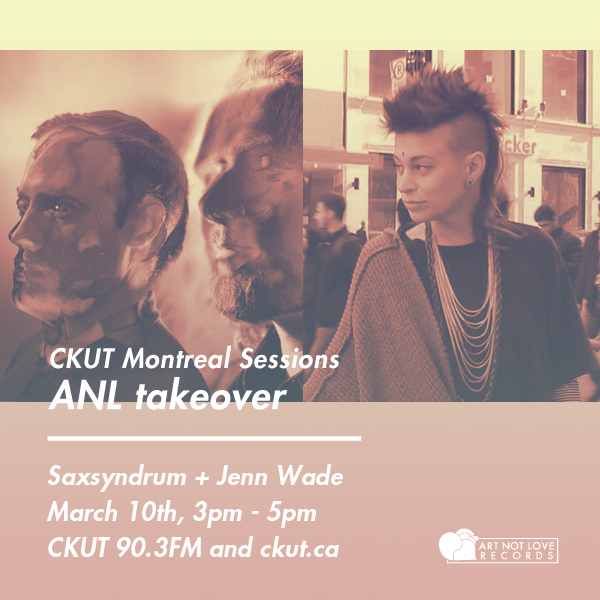 Art Not Love will be in residency on The Montreal Sessions every Tuesday from 3pm to 5pm this March. Guests will include filmmaker Robby Reis, visual artist Jenn Wade, and a slew of musicians ranging from our own DirtyOrgans, and Saxsyndrum to friends of the label Jef Barbara, and Ari Swan. Our interviews will be focused on how music has affected their process and lives, for better or worse. Our first episode will feature an ANL artist Rushing Silver, and local filmmaker Robby Reis of Natali film who we’ve been working with for the past year. You can also expect to hear lots of unreleased goodies and other things we probably shouldn’t be showing to the public.